Ambassador Melvyn Levitsky, a retired Career Minister in the U.S. Foreign Service, is Professor of International Policy and Practice at the University of Michigan's Gerald R. Ford School of Public Policy. He is Senior Fellow of the School's International Policy Center and a member of the University of Michigan's Substance Abuse Research Center (UMSARC) and a Faculty Associate of the University's Center for Russian and East European Studies (CREES) and of the Weiser Center for Emerging Democracies. 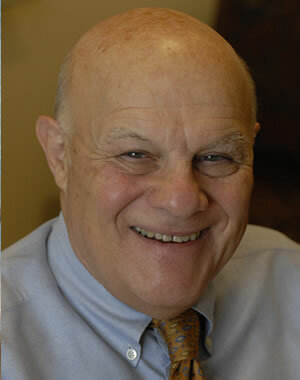 Prior to joining the University of Michigan in the fall of 2006, Ambassador Levitsky taught for eight years as Professor of Practice in Public Administration and International Relations at Syracuse University's Maxwell School of Citizenship and Public Affairs. He is a Distinguished Fellow of the Maxwell School's Moynihan Institute of Global Affairs. He has also taught as a Professorial Lecturer at the Johns Hopkins University School of Advanced International Studies (SAIS). In 2003 Ambassador Levitsky was elected by a vote of the United Nations Economic and Social Council to a seat on the International Narcotics Control Board (INCB), an independent body of experts headquartered in Vienna and responsible for monitoring and promoting standards of drug control established by international treaties. He served on the INCB until 2012. During his 35-year career as a U.S. diplomat, Ambassador Levitsky was Ambassador to Brazil from 1994-98 and before that held such senior positions as Assistant Secretary of State for International Narcotics Matters, Executive Secretary of the State Department, Ambassador to Bulgaria, Deputy Director of the Voice of America, and Deputy Assistant Secretary of State for Human Rights. Ambassador Levitsky also served as Director of the State Department's Office of UN Political Affairs and as Officer-in-Charge of U.S.-Soviet Bilateral Relations. Earlier in his career he was political officer at the U.S. Embassy in Moscow and a Consul at U.S. Consulates in Belem, Brazil and Frankfurt, Germany. Ambassador Levitsky is the recipient of numerous Department of State Meritorious and Superior Honor Awards and Presidential Meritorious Service Awards. On his retirement he received the Secretary of State's Distinguished Service Award. Ambassador Levitsky is a member of the Washington Institute of Foreign Affairs, the American Academy of Diplomacy, the U.S. Foreign Service Association and is a member of the Board of Directors of the Drug Free America Foundation, and the Institute on Global Drug Policy. He is also a member of Freedom House's International Solidarity Committee. He has a Bachelor of Arts degree from the University of Michigan and a Master of Arts degree in Political Science from the University of Iowa. On March 16, the International Policy Center hosted distinguished guests from the United States and China for a research workshop entitled “China’s Impact in the International Development Arena.” The workshop series is a new initiative at the International Policy Center.